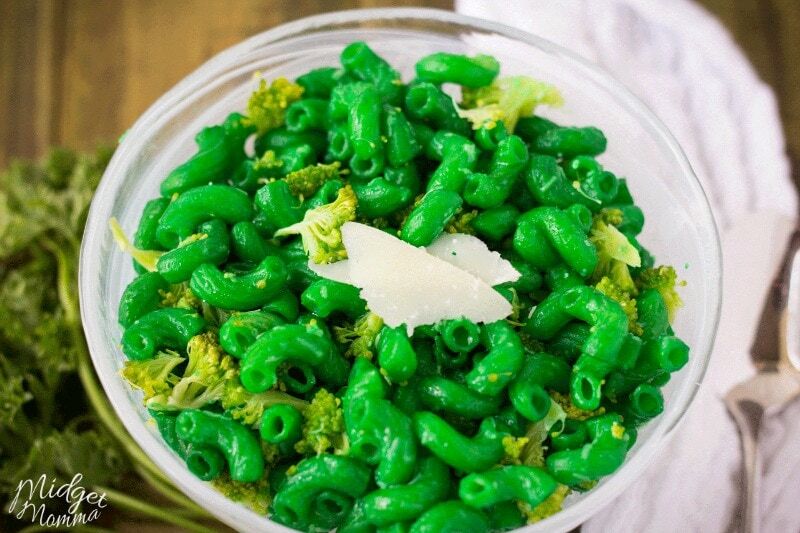 Everyone will be green with envy when they see your green St.Patricks day pasta! I made this Green St. Patricks Day Pasta for my daughters lunch and when I went to call her inside to eat she was so surprised! Her favorite color just happens to be green this week. 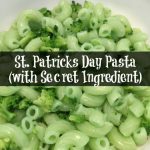 If you love making fun St.Patrick’s Day recipes for kids then you are going to love this green pasta! This green pasta is so simple to make and doesn’t take much effort at all! 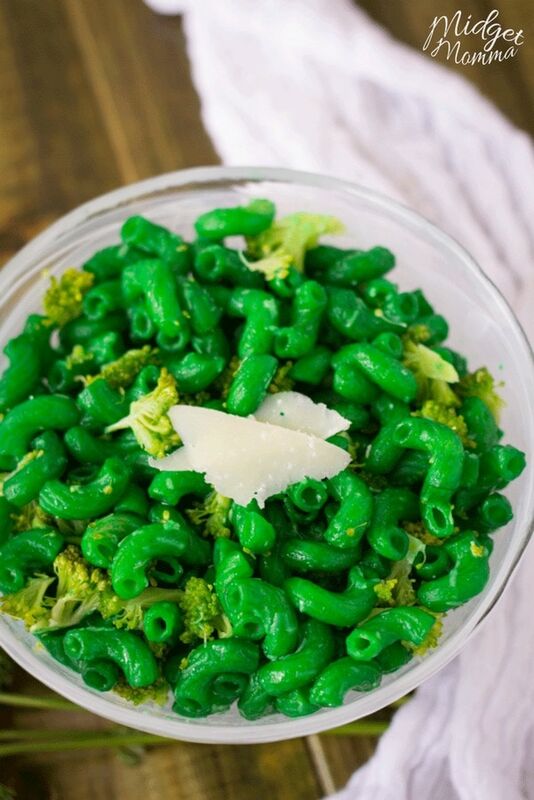 This pasta doesn’t take a lot of work to make it green, just a little food coloring and you turn the ordinary into extraordinary. In a large sauce pan fill it up with water. Add the food coloring to the water and bring it to a boil. Add your pasta and cook it as the packaging says. Drain off the pasta and add the broccoli, add the butter and cheese to taste. 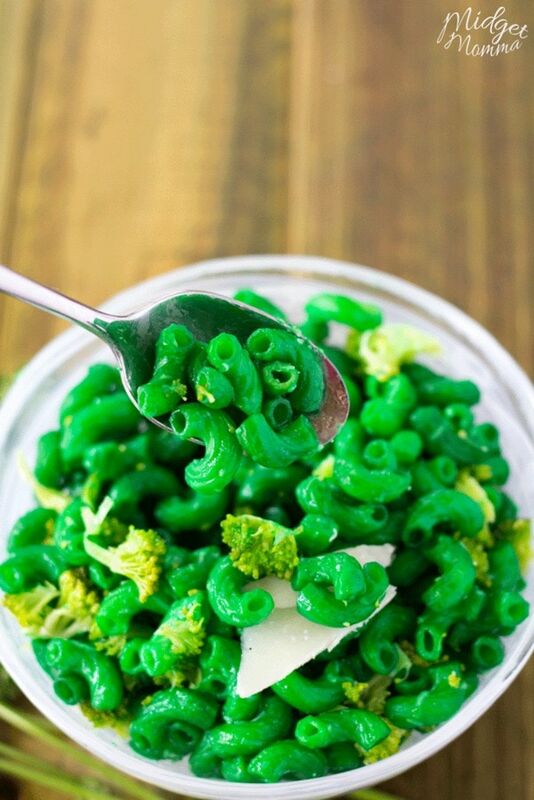 Fun green pasta with a secret ingredient for St. Patricks Day! In a large sauce pan fill it up with water. Add the food coloring to the water and bring it to a boil. Add your pasta and cook it as the packaging says. Drain off the pasta, and add the broccoli and then add the butter and cheese to taste. Hi there! How many servings does this make? I’m going to make enough for 41 people! Thanks! This is meant to serve two people but if your guest is big eater than it will only sever one person. My husband can eat this recipe as is all by himself.